Wondering how you are going to get concrete behind your house or on the second floor of your job site? 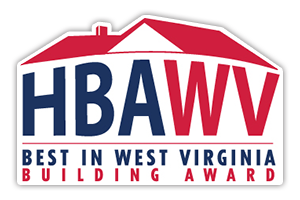 Give us a call we will be glad to send a company representative to your location to help plan the right steps. 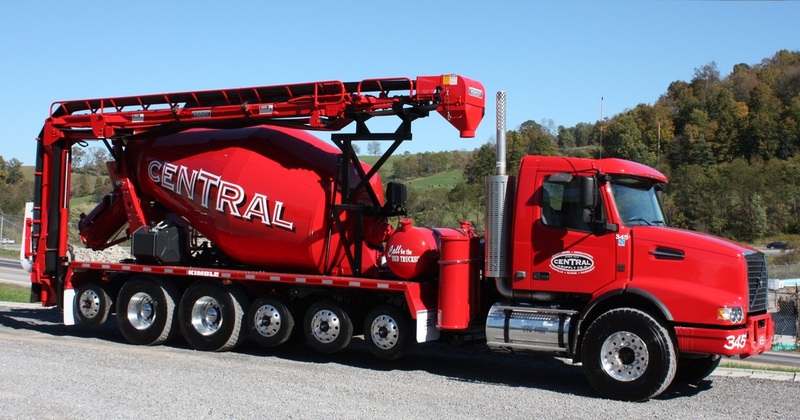 Central Supply has a vast fleet of ALL WHEEL DRIVE front discharge mixers for those hard to enter job sites, and has a nice selection of concrete boom pumps and truck mounted conveyors for your hard to reach placements. 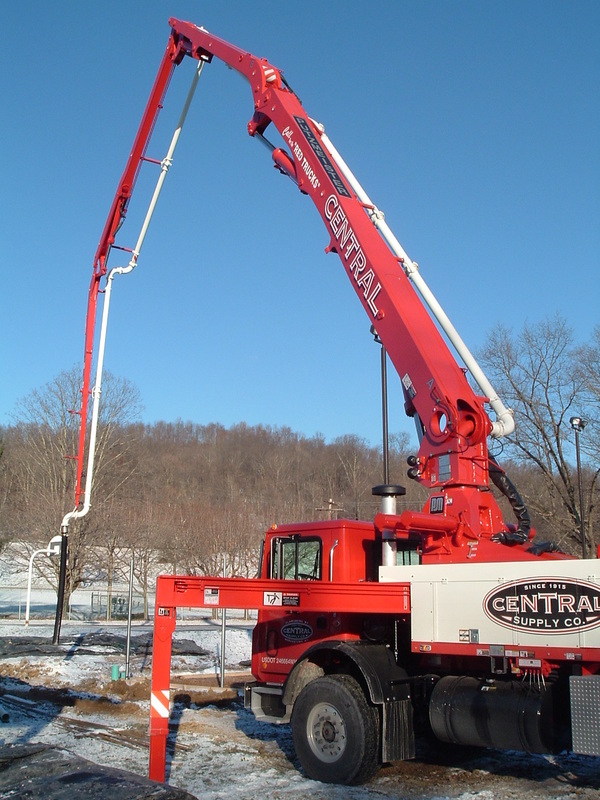 This 32 meter concrete pump boasts a unique “Multi-Z Boom.” This boom allows the unit to get into areas that conventional boom cannot, yet it can arch over obstructions like a conventional boom. 52' Conveyor: This Atlas Polar Mixveyor Conveyor mounted on a mixer truck offers a very flexible delivery package that is both convenient and economical. 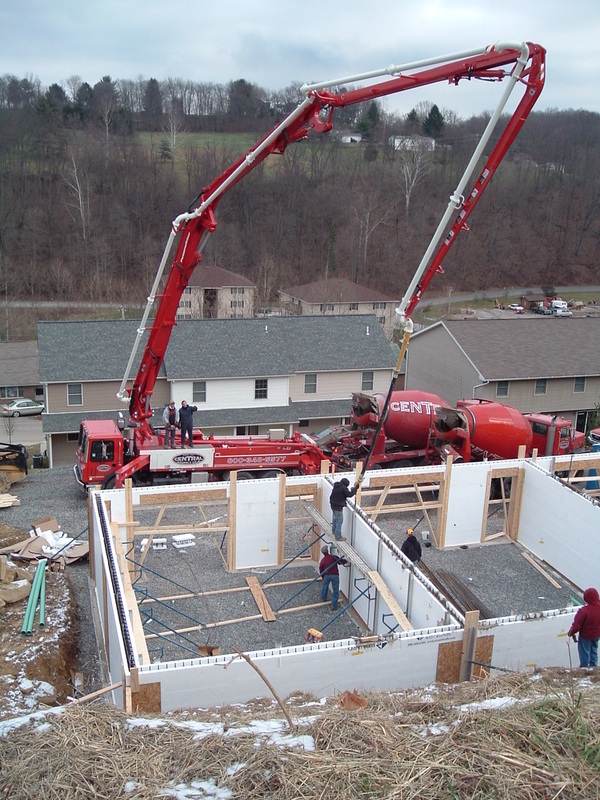 Imagine being able to easily reach and pour footing and walls up to 52' away from the truck in most residential, commercial and industrial sites.